Thought I’d share these over the next few posts. I have twenty four of these titles published in the 1970’s by Ace books, though I believe there were at least 26 titles in total. 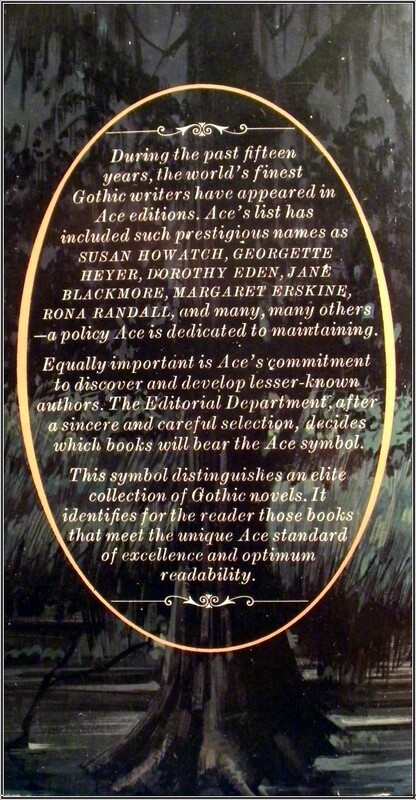 Ace are a well known publisher for Gothic Romance and according to the blurb on the back cover, the titles in the Cameo Gothic series were chosen for their excellence and optimum readability, while promoting and developing lesser known writers. 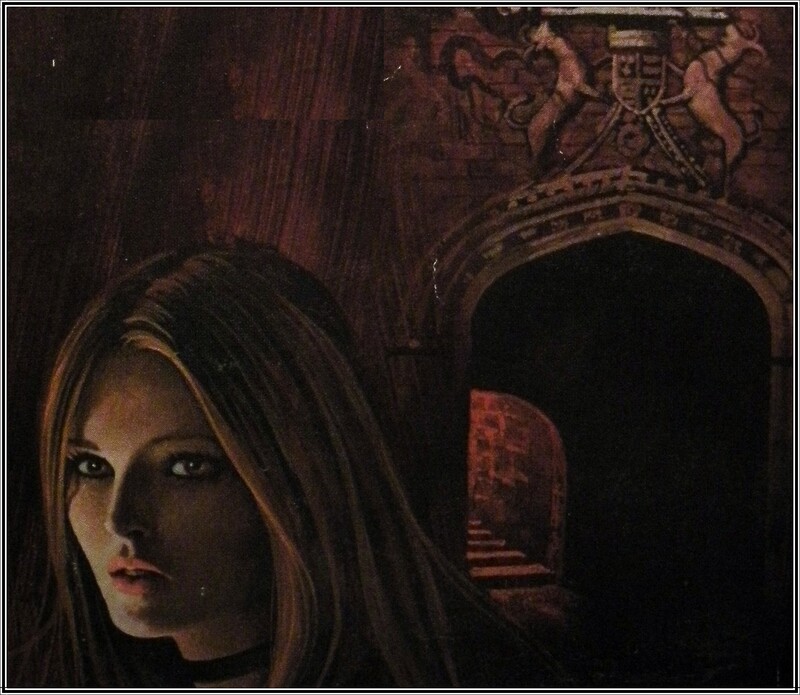 The Ace Cameo series tended to shy away from the more supernatural elements found in a lot of gothic fiction and all basically tell the same story – nice young girl finds a nice young man and / or comes into some money but someone is out to kill her. Will she / won’t she survive? Of course she will! But for all the predictable endings, on the most part these books were well written and featured some cracking settings and plot lines. 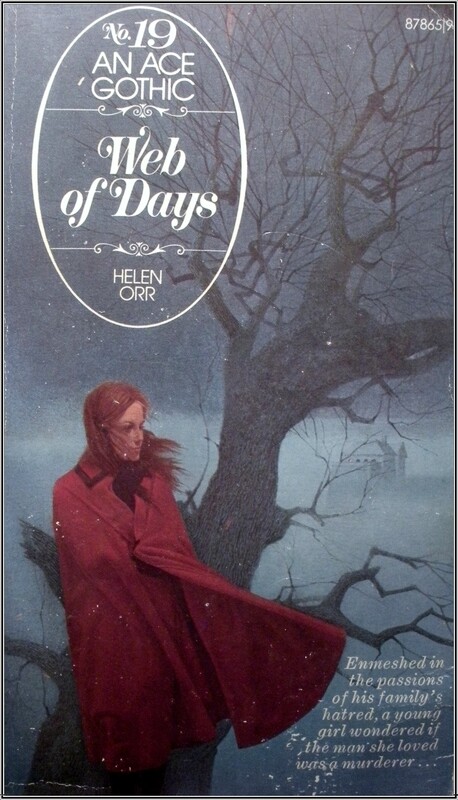 And I for one could never resist the fantastic cover art. I’m posting in reverse order so here’s numbers 19 to 24. When Jennifer MacKay, known to her friends as Mac, received her promotion, she was unwillingly drawn into her boss’s family life. But nothing could have prepared Mac for the passions that seethed within Bennett Mann’s home – passions that found their focus in his wife, Thea. Both of Ben’s children hated their stepmother; Jenny, a neurotic young girl starved for affection, and Jeffrey, handsome, cold and enigmatic, who despised his weak willed father. Then one day, Thea Mann was murdered. Each of the tormented family members suspected the other, but only Mac knew Jeffrey had lied to the police. 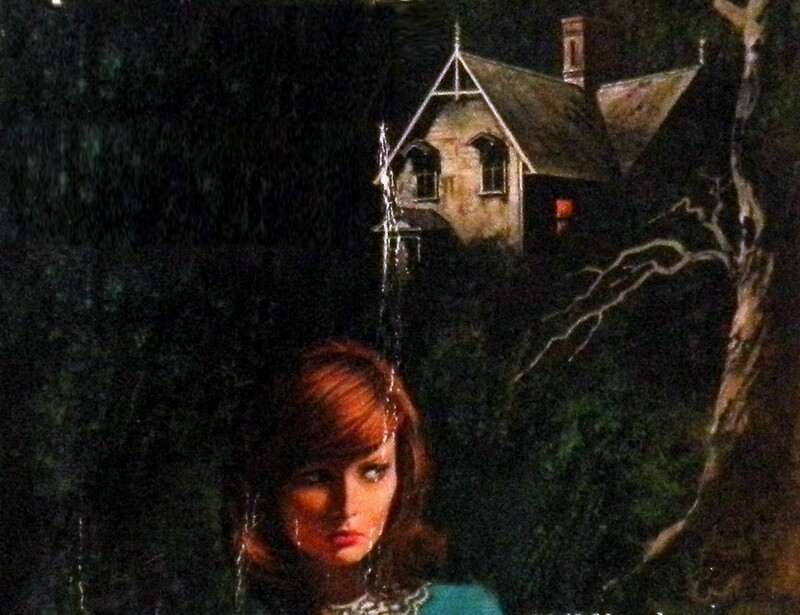 Trapped in a tightening web of horror, Mac was determined to learn the truth – for in spite of herself, she loved Jeffrey Mann, and refused to believe he was a murderer. Although she recovered from the near fatal accident, the beautiful young woman could remember nothing. It was from her personal effects she learned her name was Janet, and that she was the widow of the wealthy Larry Kirby. Her baby was his son, entitled to a vast inheritance. But the past was not to be unlocked so easily. Larry’s brother Bruce was determined to prove Janet a fortune-hunting imposer (sic). And the confused young mother, not at all sure she was really Janet Kirby, was powerless to stop him. No one was prepared for the terrible truth that emerged; an evil hoax that sent the past spinning into the present to cast a sinister shadow on the future. Written by Zoa Sherburne. First Ace printing November 1975. 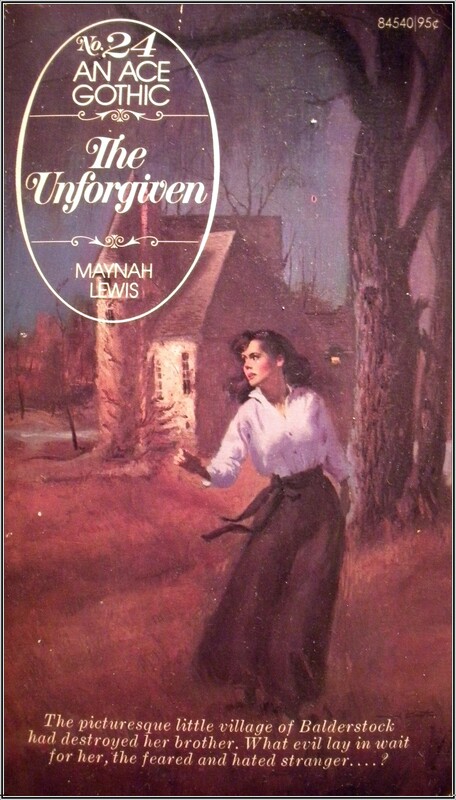 Left homeless and alone, Sarah York went South to Cameron Oaks, the civil war-wrecked plantation of her cousin. She withstood unexplainable hostility on her arrival, only to be totally humiliated to find herself nothing more than a servant. With little hope of ever finding happiness here, Sarah turned her attentions more and more to Jaime, her young blind charge. And against her will, her heart turned more and more to the child’s father. Who was this man Adam, who could be so cruel and unfeeling toward his helpless son, yet so kind and attentive to her? And were the dreadful rumours true? Did he set the fire that killed his wife and left his son a cripple? Was he capable of anything for the sake of his precious pride? The questions rose from her confusion, and settled her into despair. When she could no longer deny her love, a mad charade of twisted passions began, and Sarah found herself lulled by the player’s charm into a trap from which death was the only escape….. 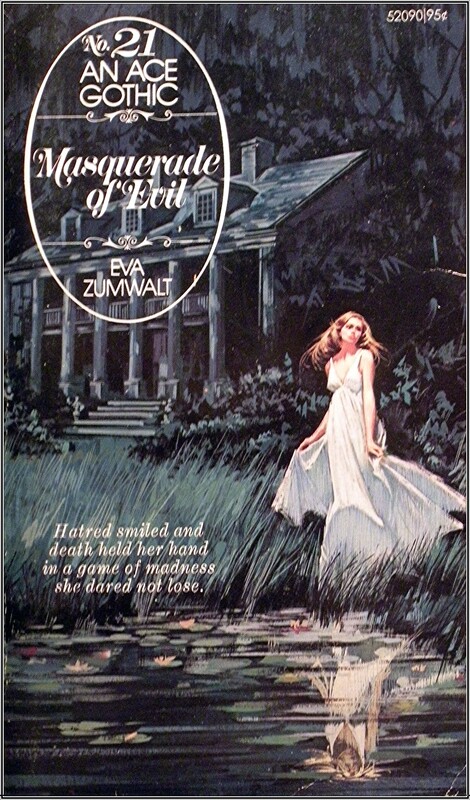 Written by Eva Zumwalt. First Ace printing December 1975. Allyn Bourke came to Sheldon’s Crossing to forget a tragedy that haunted her nights, and made sad shadows of her days. But before one scar could heal, tragedy struck again… and again… and again. There was her friend Nina, one minute laughing gaily, now dead. There was kind Dirk Cameron, now dead – from a letter bomb addressed to her. There was Miss Fleishmann, her spinster employer, alive and healthy while she argued with Allyn; dead when they became friends. There was the cat, frisky until he drank the soup in Allyn’s cup; now dead. Only her obese landlady, Mrs Johnson seemed to be surviving. And Steven Donner; Steven, who threatend to splinter Allyn’s wall of emotional isolation. 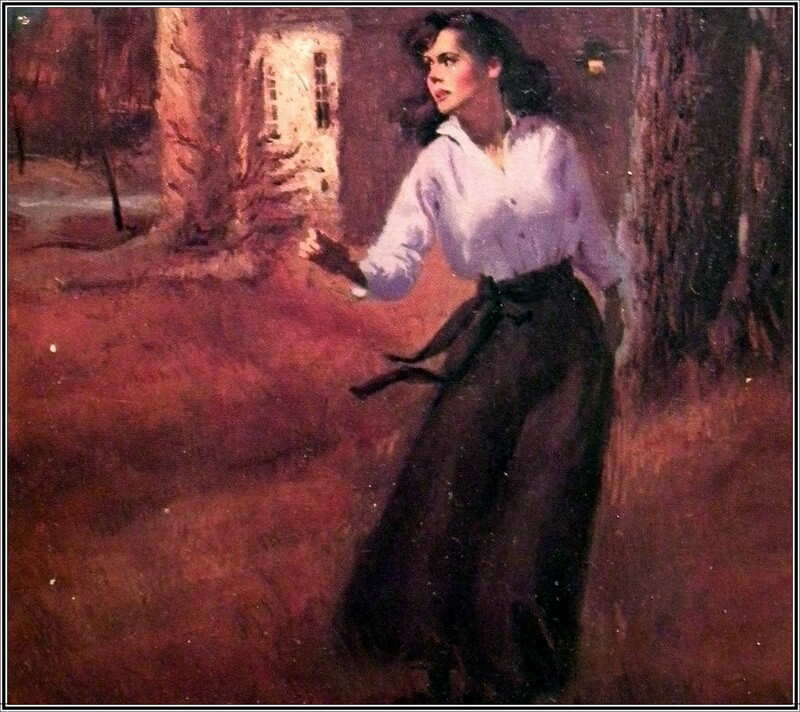 Steven and Mrs Johnson – one of them would not rest until Allyn was as dead as the others. If only she could fathom the reason for this relentless pursuit… if only she could discover which one was the murderer – in time! 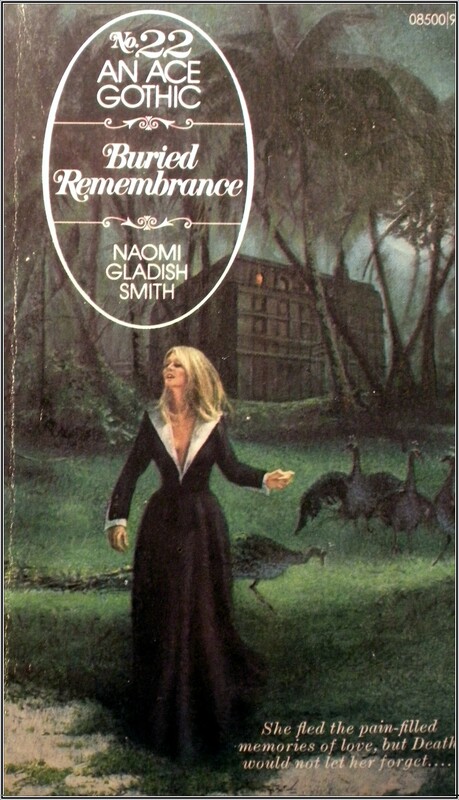 Written by Naomi Gladish Smith. First Ace printing January 1976. 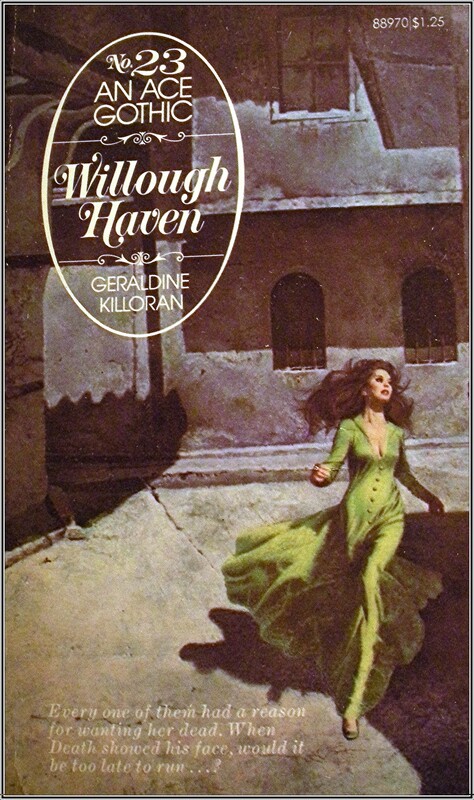 Willough Haven Ranch represented wealth, beauty, security and love. It was her second home, and the Willough boys were her closest friends. When Diane French became a woman, it seemed only right that she also became Mrs Fred Willough. 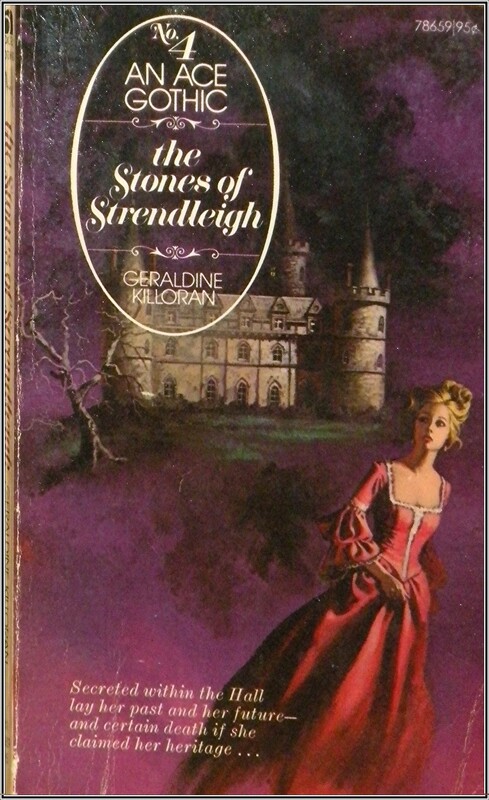 Written by Geraldine Killoran. First Ace printing February 1976. In a picture-book pretty English village – and it destroyed Eve Shannon’s brother. 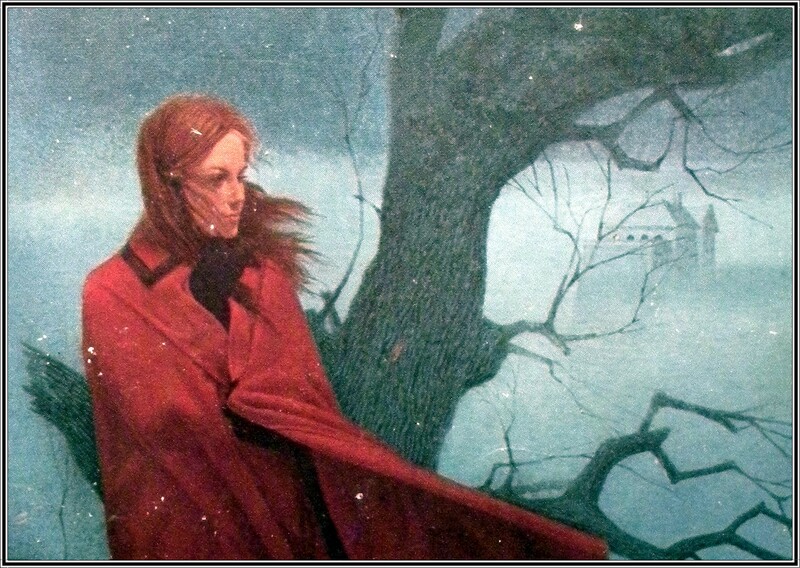 When Eve journeyed to Baldenstock, however, her veiled questions were met with hostility – and worse…. It was from newspaper clippings Eve learned that her brother had left his mark on the tiny village – the terrible mark of murder! But she didn’t believe it – and with her disbelief she knew real fear… Alone, her identity a secret even from the man she loved, Eve set out to discover what really happened one horrible night not so very long ago….. Written by Maynah Lewis. First Ace printing March 1976. No 25 Winterscape by Anastasia Cleaver. 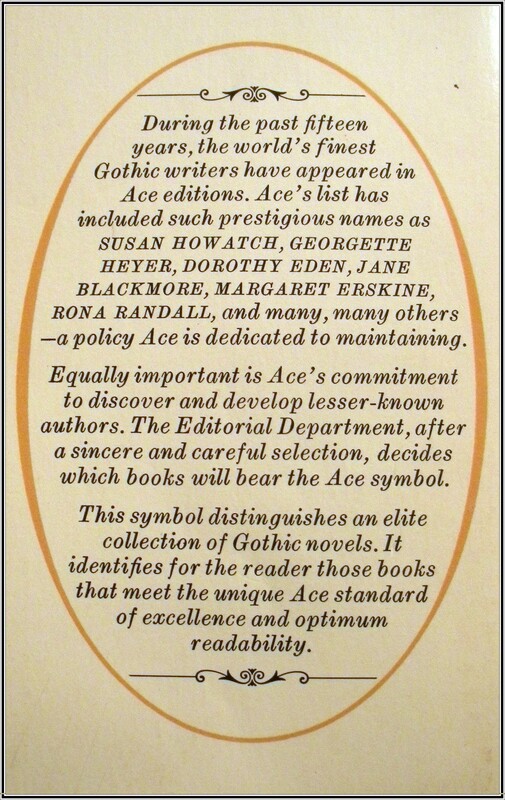 First Ace printing April 1976. No 26 Deathbed of Roses by Michaeljohn. Or rather this is what is listed in the back of my other Cameo Gothics – however on searching the web I found this cover scan. 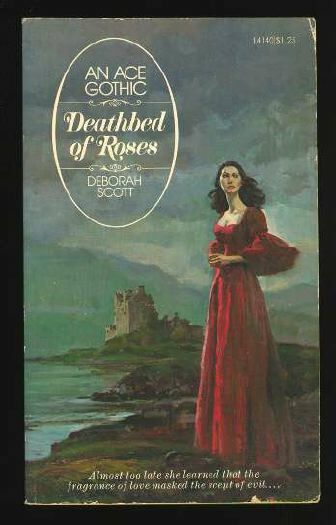 Though this title does not seem to be numbered, I’m wondering if Deborah Scott is actually the correct author.